No trip to Italy would be complete without a wander around the food market! In today’s lesson, learn how to buy food al mercato and review all the handy words and phrases we’ve been learning for buying food over the last 3 lessons. Prendo quattro etti di Parmigiano = I’ll have 400 grams of Parmesan. Che cos’è quello? What’s that? Basta così?/A posto così? = Is that everything? Posso avere un sacchetto? = Can I have a plastic bag? Quanto costa? Quanto viene? Quant’è? = how much does it cost? Posso pagare con la carta? Can I pay by card? Dov’è un bancomat? = Where’s a cash machine? Katie: No trip to Italy would be complete without a wander around the food market. In today’s lesson, learn how to buy food al mercato and review all the handy words and phrases we’ve been learning for buying food over the last 3 lessons. 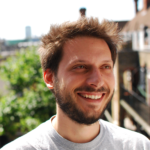 K: Recently, we had a fab suggestion from one of our listeners, to do a review once a month, so you can practice some of the things you learnt in the last 3 lessons. 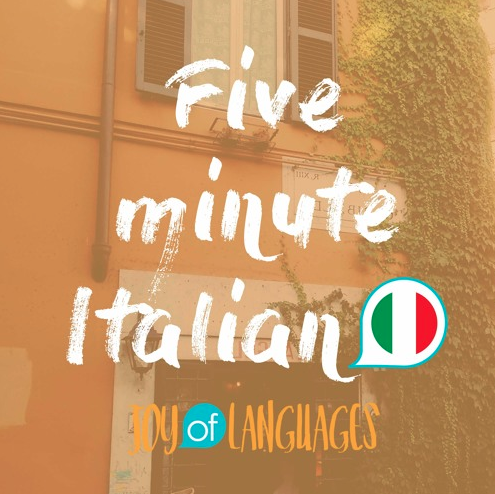 So welcome to the first 5 minute Italian review lesson! Today, you’ll review the grammar and phrases from lessons 26 – 28 and importantly, use them to build new sentences, which is possibly the most important skill you can master. 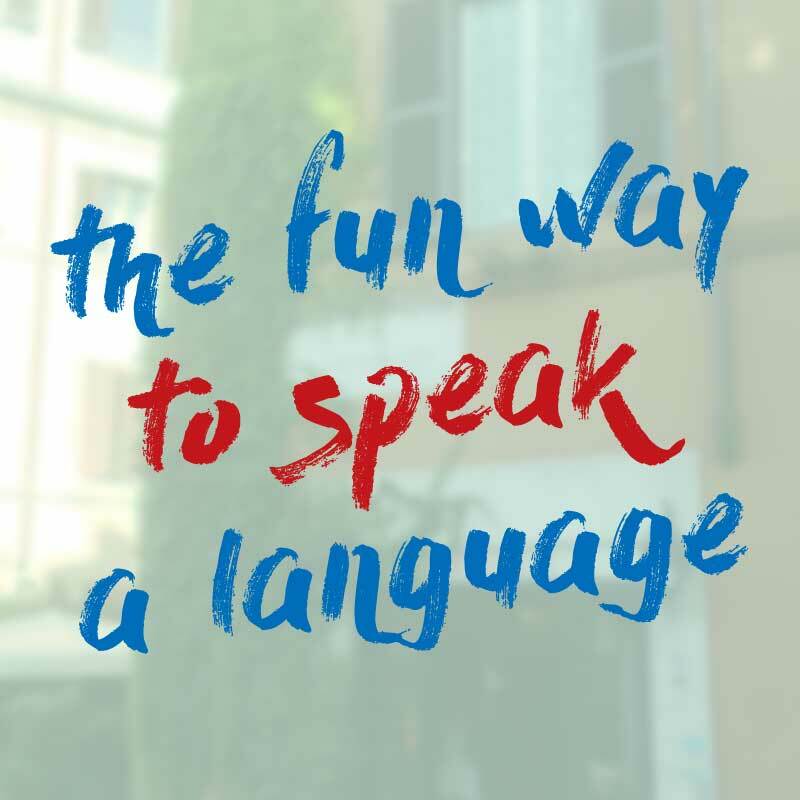 And, if you want to practice speaking Italian, you can join us for a speaking workshop on Saturday, so make sure you listen until the end for details on how to join. K: This week, we’re at the market. K: And you see a tasty cheese stall, so you wander over and see a friendly Italian lady behind the counter who asks: “what can I get you?”. Can you remember how to say that? Italians literally say “tell me”. K: And you want some Parmesan. How would you say 100 grams? You can say cento grammi but there’s another way Italians often use. K: So un etto, means one etto, which is another way of saying 100 grams. To say 200 grams, we would say 2 ettos, 300 grams would be 3 ettos and so on. Can you remember the plural form of etto in Italian? K: But that’s not enough. K: Let’s imagine we want “400 grams”. How would you say that? M: Prendo quattro etti di parmigiano. K: Then the lady behind the counter asks “anything else?”. Can you remember how to say that in Italian? K: Can you remember how to say that in Italian? M: È la Provola. Provola is a type of smoked mozzarella, and you should definitely try it if you get the chance! K: How would you say “can I have 300 grams of Provola” in Italian? M: Posso avere 300 grammi di Provola. K: Finally, the lady asks “Is that everything?” Can you remember how to say that in Italian? There are two ways. M: Basta così? You can also say: a posto così? K: Now, you’d like a plastic bag to put all your cheeses in. How would you ask for one? M: Posso avere un sacchetto? K: Next, you want to know how much it all costs. How would you ask? M: Quanto costa? You can also say: Quanto viene? Quant’è? K: And the lady says: 8 euros 75. How would you say that? M: Otto euro e settanta cinque. K: Now that’s more expensive than you were expecting, so you ask if you can pay by card. M: Posso pagare con la carta? But it’s a market stall, so she says “no” only cash. K: There are two different ways to say “there”. Can you remember them? M: You can say lì or là. K: So how do you say “it’s there”? M: è lì or è la. K: And how would we say “over there” as in “in that general direction”? K: And you run off to the bancomat so you can get money for your Italian cheese. K: That’s all we have time for today, thanks for listening. And if you’d like to get more mini Italian lessons delivered to your inbox, don’t forget to subscribe by following the link below. Grazie, and ciao for now, see you next time, or as we say in Italian, alla prossima!